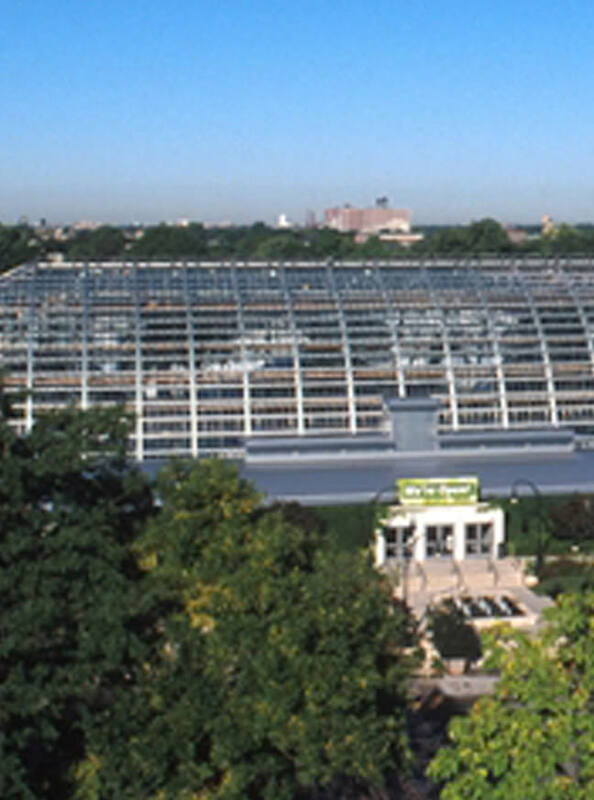 Garfield Park Conservatory is one of the largest conservatories in America. Its'' 7 glass houses offer a surprising range of climates and landscapes. Curving sloped sidewalks lead up to the accessible main entrance, which has push-button doors. Wheelchairs are available for loan. Except for the Fern House, which is down several steps, the glass houses have level access. However, some surfaces are rough and uneven. In the Children’s Garden, an elevator (which may need to be unlocked) leads to a view over the tree canopy and a slide for children. Outside gardens also have accessible pathways. Restrooms, the gift shop/refreshment area and drinking fountain are wheelchair accessible. For persons with vision loss, it is possible to arrange a guided tour. There is an outdoor sensory garden with raised beds. Free parking with 3 accessible spaces is located just south of the main entrance.